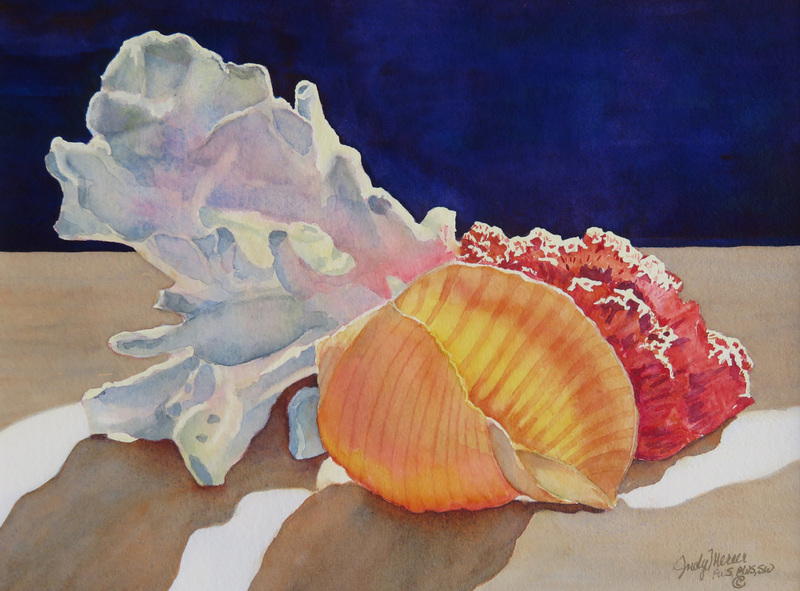 Original watercolor on paper, showing a shell with 2 pieces of coral. The painting is 12x16, matted and framed to 21x27. May be purchased with or without the frame.